The fight over immigration on Capitol Hill may no longer just be about illegal immigration. 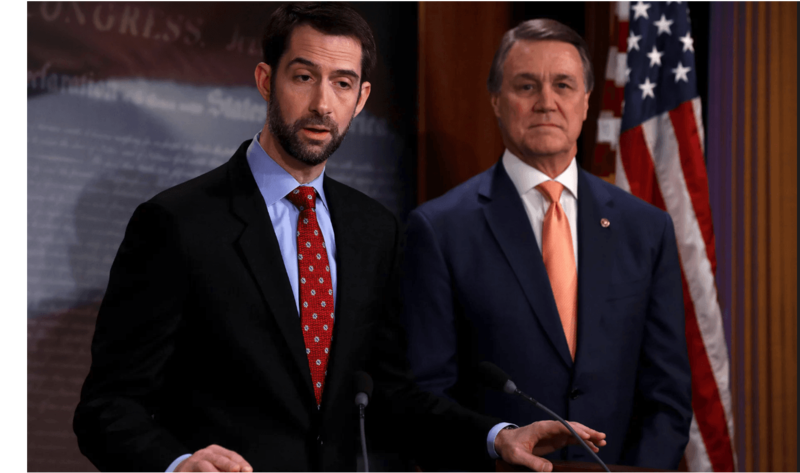 A bill introduced by senators Tom Cotton and David Perdue on Tuesday would halve the number of legal immigrants to the United States within a decade, marking a new battlefront on migration policy in the US. It represents the latest effort by the populist wing of the Republican party associated with Donald Trump’s ideology to move the GOP away from the concerns of business groups. The Reforming American Immigration for Strong Employment, or Raise Act, would alter the US immigration system to significantly reduce the number of foreigners admitted to the country without a skills-based visa. It would end green card preferences for the adult parents, siblings or children of US citizens. Instead, the preferences would only be retained for spouses and minor children.